The potential sale of Myspace by owner News Corporation could result in further staff redundancies at the social network. The Wall Street Journal (WSJ) reports News Corp. has been in talks with various internet, venture capital and private equity firms to sell or merge Myspace with another site. Quoting people "familiar with the matter", WSJ says lay-offs could be required by an acquiring company, adding to the 1,200 jobs lost at Myspace over the past two years. In January 2011, the social network slashed its workforce by 47%, making 500 staff redundancies as part of an organisational restructure. 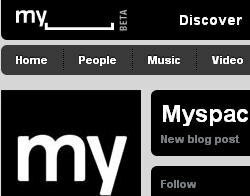 Myspace relaunched its site in October 2010, focusing on social entertainment in an attempt to regain share in the social media market.